Having been competitive sports persons themselves, the founders and mentors of CSE are well-placed to understand the huge impact that the right infrastructure, coaching, equipment and exposure can have on the performance of an athlete on the global stage. CSE was set up with this vision of providing facilities to promote excellence in sport, and we pride ourselves on the quality of infrastructure we provide across all our sports venues. 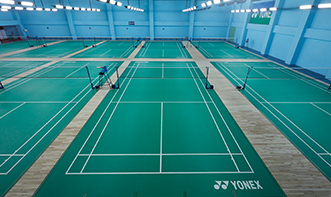 16 Badminton Courts built to global standards for the purposes of training, practice and hosting national & international tournaments. 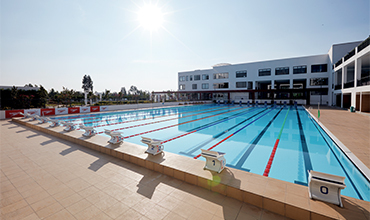 A top-of-the-line 50 metre, 10-lane pool built by Myrtha Pools, Official FINA Partner, and supplier of aquatics facilities for FINA World Championships and Olympic Games, along with a heated 20-metre indoor pool for beginners. 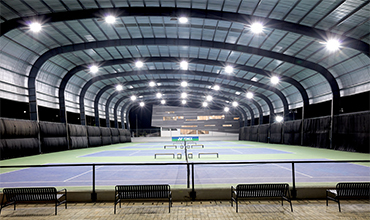 5 covered hard courts for recreational and professional players, and 5 quick-start courts specially designed for children. 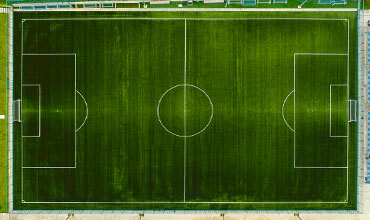 An international size flood-lit and FIFA-approved artificial turf football ground, with 5-a-side training turf for beginners. 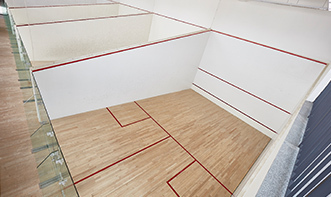 4 world-class glass-backed squash courts with an overhead viewing gallery. Champions don’t wait for things to happen; champions find their own ways to win, fair and square. They don’t wait for success to come to them; they go after success. That’s the hallmark of a champion. When you play for the love of the game, you play with respect and humility. You play for the team and for everyone who has made it possible for you to step out on the field. That’s what sport is about and that’s what makes you a true sportsperson. Infrastructure is the backbone for development in any field. 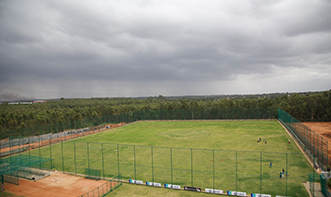 The Padukone – Dravid Centre for Sports Excellence was built to provide Indian sport with the world class infrastructure it needs to produce sportsperson of the highest caliber. Playing sport is also the foundation on which we can promote a fit, balanced lifestyle for all, ensuring we become a healthier nation. The CSE campus is home to the SAI-Abhinav Bindra Targeting Performance Centre, the first such centre of its kind in India dedicated to integrated Performance Training. 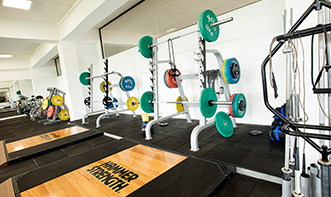 The Targeting Performance Centre adopts a modern, multidisciplinary and athlete-centred approach to performance training, conditioning and injury rehabilitation, utilising cutting-edge techniques and expertise in sports science. Health, fitness and exercise are at the core of any athlete’s training routine. 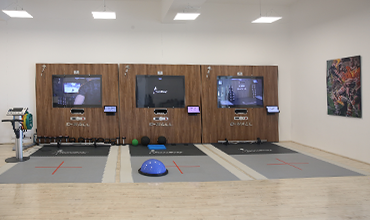 At CSE, athletes train under professional supervision at our well-appointed Vesoma Fitness, Rehabilitation & Sports Medical Centre, boasting best-in-class equipment for cardiovascular, weights and routine training. Professional sports scientists help design customised fitness routines for athletes to ensure optimal technique and minimal injury. 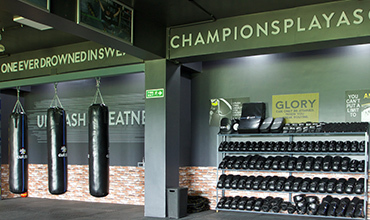 An experienced staff is on hand to provide Physiotherapy, Hydrotherapy, Injury Rehabilitation and Nutrition services. 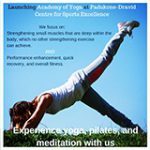 CSE also offers mental fitness conditioning and sports psychology services for high performance, through India‘s foremost Sports Psychology consultancy, Samiksha. 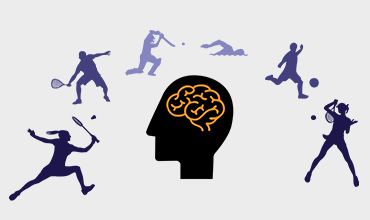 A number of our Academies, partners and their trainees have benefitted greatly from Samiksha’s mental conditioning sessions, which are tailored to the needs of individual and team sports. 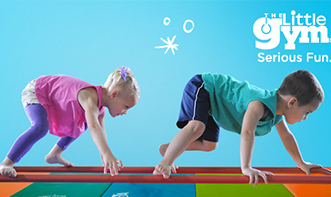 Also on the premises is The Little Gym, which offers engaging fitness activities for children including gymnastics, karate, kids’ dance, parent/child classes and other sports skills.